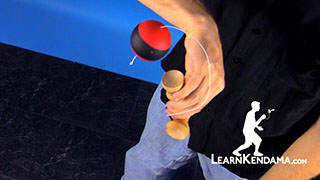 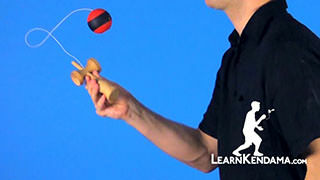 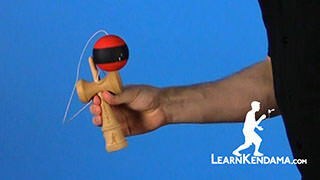 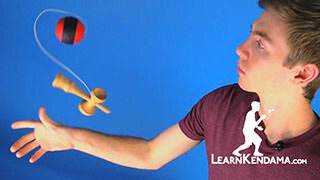 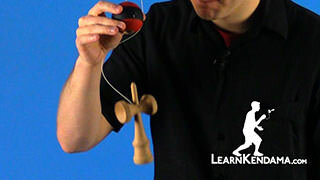 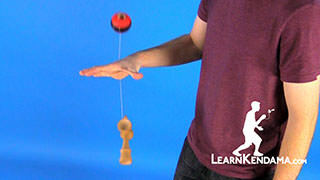 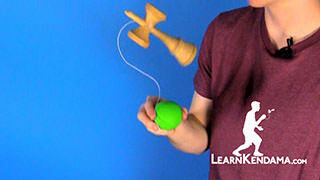 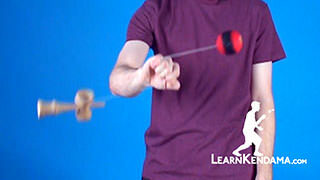 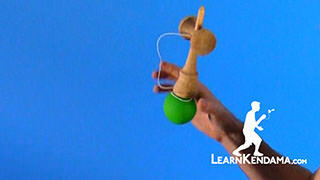 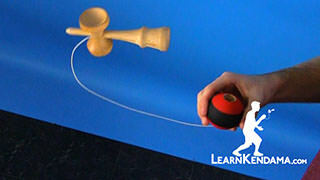 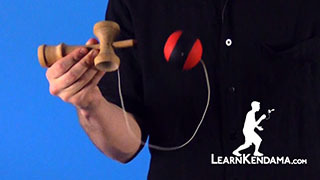 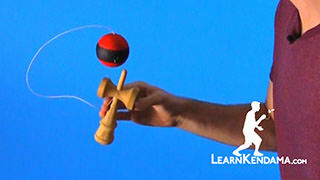 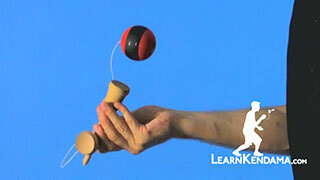 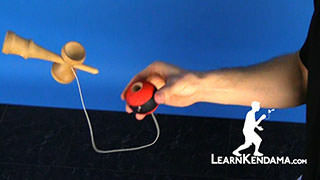 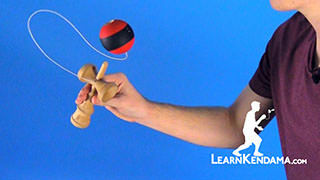 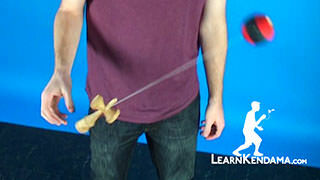 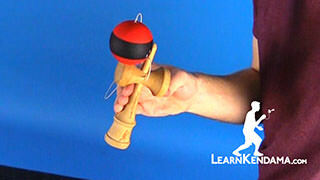 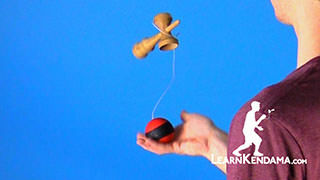 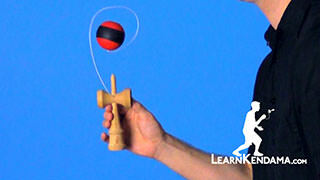 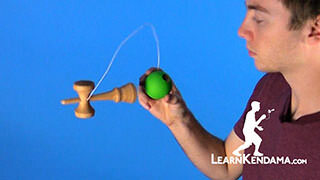 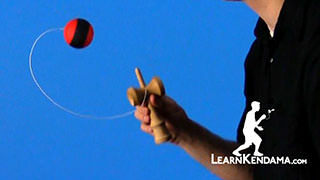 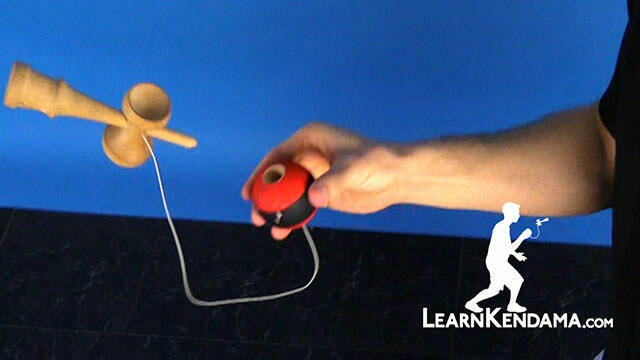 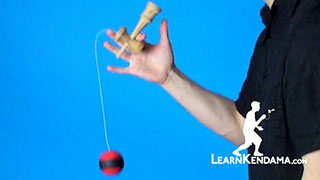 How to do the Swirl kendama trick. 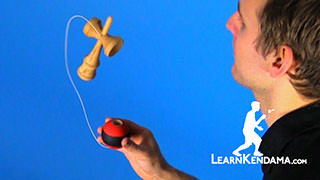 you the Kendama trick known and Swirl and it looks like this. 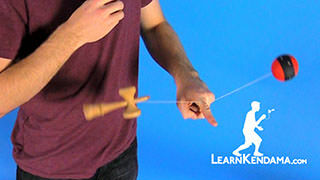 Now in order to do this trick you want to make sure to know how to do Airplane. 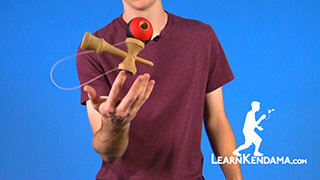 So if you do not know that trick make sure you go back to our previous videos and check that out. 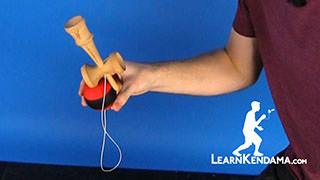 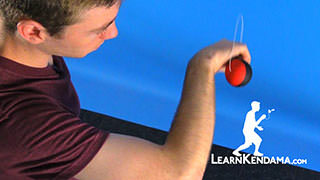 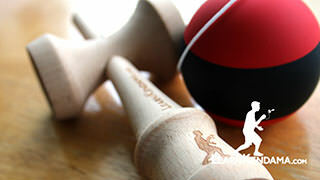 So to start this trick off you are going to be holding it in a Ken Grip and you are going to let the ball hang loose and what you are going to do is going to set the string on top of your finger like this and you will want it a little bit closer to the ken rather than in the middle. 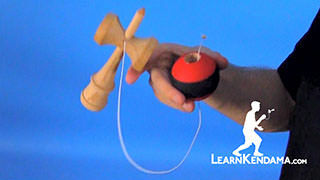 That way it allows the ball and the Ken to rotate opposite of each other a little bit easier. 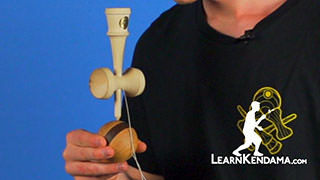 What you are going to do is you are going to swing the Tama one time in front of the Ken like this. 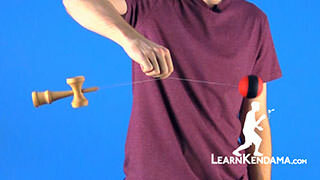 So that way the string will wrap one time around your finger and then once you complete that one wrap you are going to toss the Ken when the Tama is at about six-o-clock and that will allow them to spin opposite of each other. 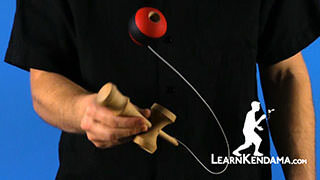 What you want to do is you want the Tama to make three rotations around and it helps me when I count out loud when I do the trick when I am first learning. 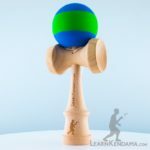 So you will set it on, wrap it in front of the Tama and the first wrap counts as the first roll out of three. 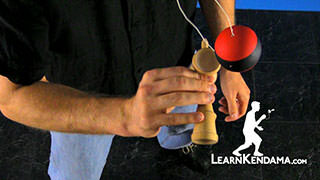 So it goes one, two, and on the third one you grab the Tama and you are going to have the Ken continue unwrapping on the inside of the Tama and the momentum of the trick will allow the Ken to unwrap naturally and once the Ken unwraps naturally you are now ready for an Airplane. 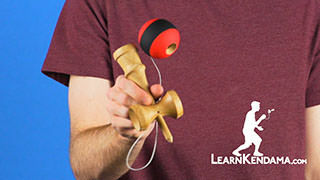 So what you will want to do on this part is you really want to bend your knees down as it is coming down, because when you are doing the trick and it is coming out and you do not bend your knees you can see the Tama has no control and it just kind of flops everywhere. 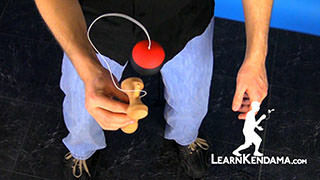 So you really want to emphasize bending your knees because when the Ken is unwrapping and it is coming to its bottom peak, bending the knees almost brings your Ken to come to a complete stop, which allows you to start in a basic airplane which is really nice to end the trick. 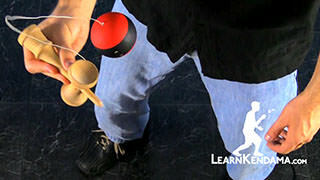 If you are having trouble with this trick what you can do is you can do a simpler version of it which allows you to practice the motion of the whole trick because the ending is the most difficult part and a lot of people have a hard time transitioning out of it. 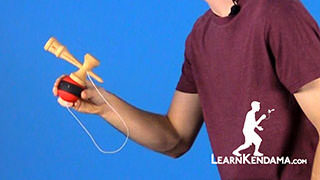 So what you can do is you can just wrap the Tama around one time and immediately grab it afterwards and toss the Ken and you can see it is a lot shorter and it gives you that motion of the trick so you can pop it up and practice the Airplane at the end. 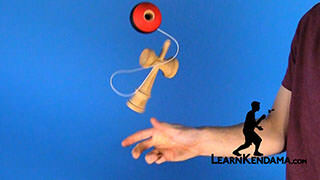 And that is how you do Swirl.